We cannot leave this book of wisdom without pausing to confront the evil that sets this story into motion. If we have time today, we will want to listen to an On Being conversation hosted by Krista Tippet with Rabbi Sarah Bassin, and Imam Abdullah Antepli. 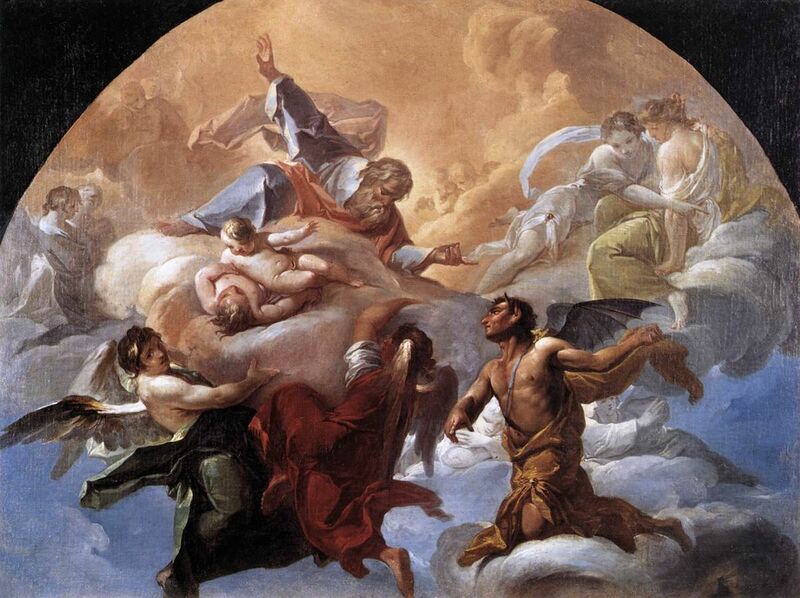 The discussion is entitled Holy Envy, and it opens a method for confronting evil in our world. The image of evil hiding among faithful servants is an unsettling thought. We go about our work or we rest in fallow time, trusting that all will be well, hoping to be children of light rather than the dark. The image of Satan lurking among the holy ones might unnerve us enough to re-examine the opening chapters of this story so that we might see a few details we have previously ignored. Satan reports that he has been patrolling his domain – – – the earth; yet God expresses confidence in the faithful, patient Job. We do not like to think about evil, and we too often turn away when it enters the comfort zone we have carefully set up for ourselves. Usually we believe that we must avoid evil at all costs, or we believe it is a force that only God can handle. Because we feel powerless, we may not spend much time thinking about what evil is or where it comes from. Yet we must take it seriously while at the same time not allowing it to paralyze us. Several summers ago, I read a fascinating novel about how the devil takes up residence in our hearts almost without our noticing. The Angels’ Game is a remarkable story and well worth reading. The author, Carlos Luis Zafón, deftly weaves a tale that at once terrifies and holds us in dreadful yet delicious anticipation of what we know the end to be when we align with malignancy. The story is terrifying in that the reader does not feel God’s presence specifically; rather the reader finds goodness in individual people and from literature itself. 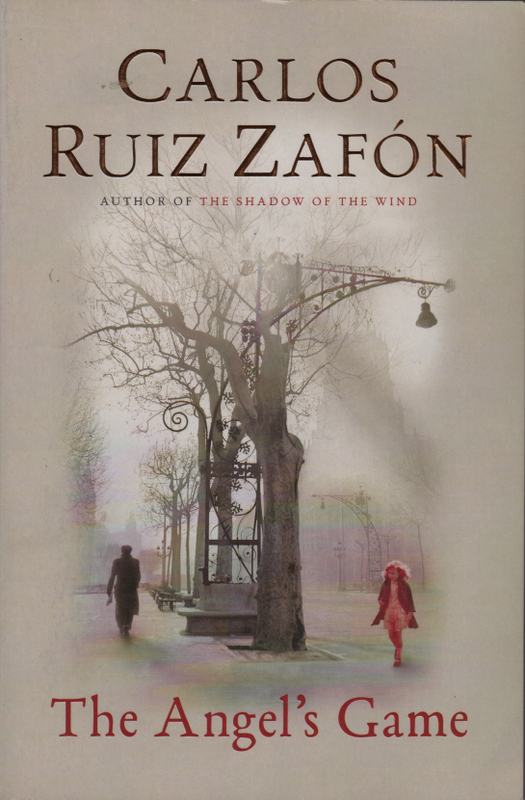 In Zafón’s tale, God is found in books and stories, and there is a spell-binding quality to the plot. As I closed the last page, I gave thanks for being in a well-loved vacation place with well-loved and loving people. The force of goodness and God-ness through them put my mind at ease. And it is this goodness and God-ness that Job brings to us today. Job’s fidelity and faith not only make him a target of the envious devil, they also save him. And so we are left to reflect . . .
God is so good that God does not banish Satan from his presence. God is so good that God does not allow Satan to have the last word. God is so good that God rescues, saves, heals and restores. Job puts all of his trust in this God. Job refuses to bow to social pressure and to pretend that he is guilty of something he has not done. Job speaks directly to God, and argues with God, asking for answers. We must not fret about evil, yet we must not forget its presence. When we find ourselves up against one who is a fallen angel, we cannot think that we, on our own, can win against the overwhelming power of Satan. We must place all of our faith, all of our hope, and all of our trust in the Lord. Only this one has the power to convert the aftermath of evil into the goodness of love. Only this one has the compassion to love us beyond the arguing. Adapted from a reflection written on July 22, 2009.